The Evil DM: This is how I roll! : A funny look at Gamers thoughts about Gamers. 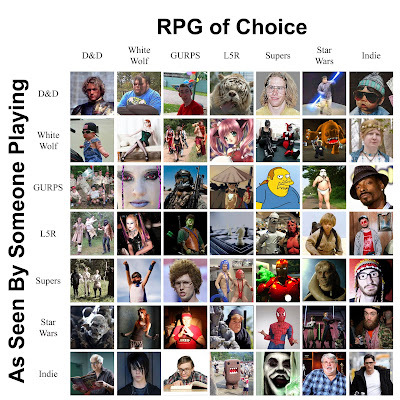 Found this looking round the internet, its a grid picture showing what one gamer thinks about another game of certain types of games. Made me laugh, so I decided to share it with y'all. 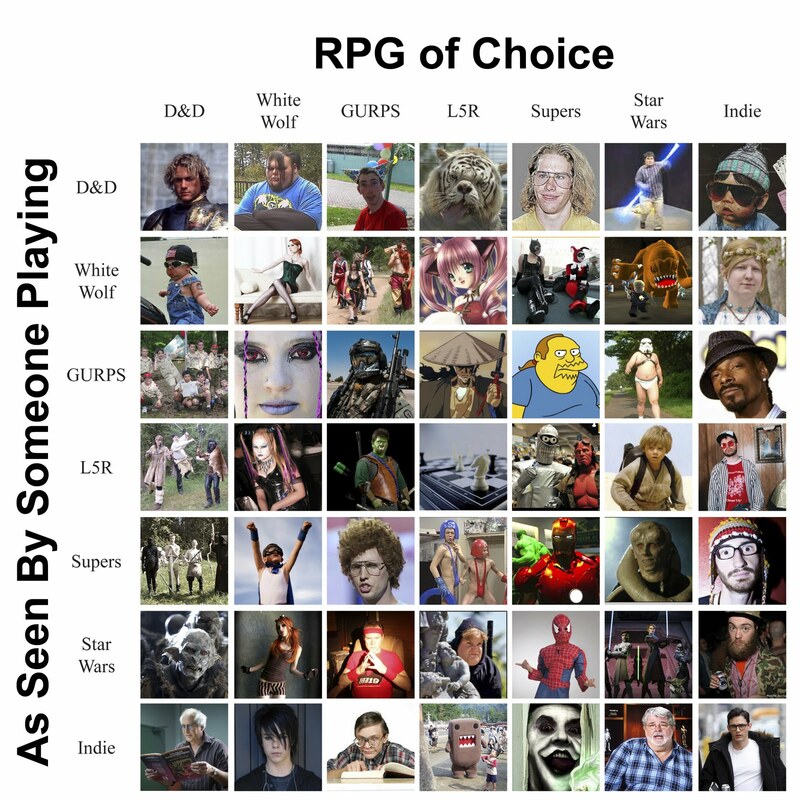 I've played all these games and I really am not sure I agree with what is here, but I have seen people who play D&D, look at White-Wolf players like this. Click on it for larger viewing.